The image above is the layout of the drawing, the beginning of the painting. The image below shows the final stage and completion of the work. You can see the stages in between, in the 2 minute video below. The images are accompanied by sounds created by Joe Willie Smith and myself. 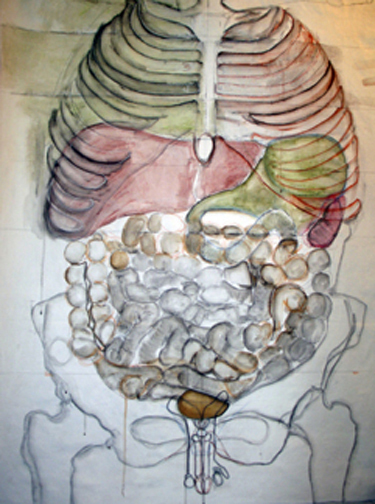 This entry was posted in art, Nothing In Stasis and tagged anatomy, art, casein, Nothing In Stasis, subtle body by monica. Bookmark the permalink.